TAMPA, FL. 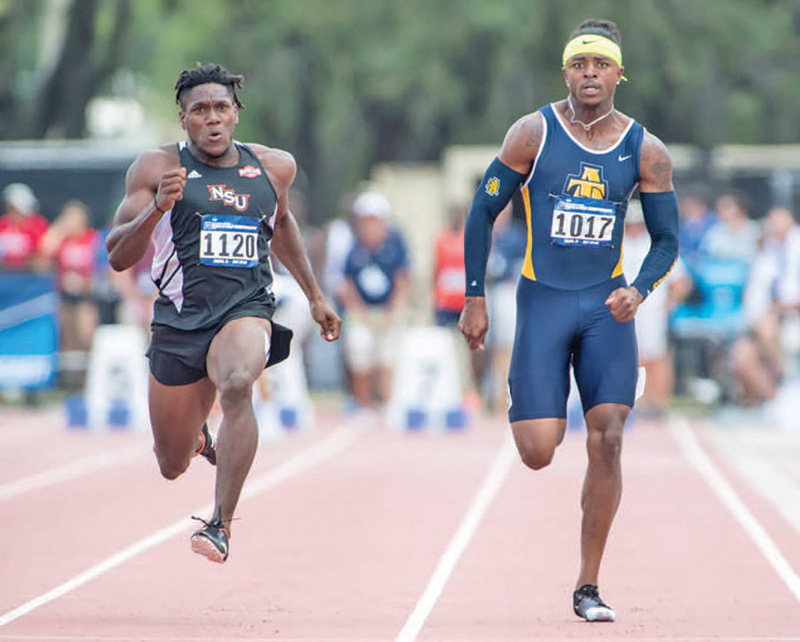 – North Carolina A&T spent the final day of the 2018 NCAA East Preliminary Round at University of South Florida (USF) Track & Field Stadium adding to their NCAA Outdoor Track and Field Championship qualifying totals. Junior men’s sprinter Rodney Rowe and junior women’s jumper Anisa Toppin led the way on Saturday. Rowe earned first-team All-American honors as a part of the Aggies’ historic 2017 4×100 meter relay team that has the eighth-best time in NCAA history. Rowe was also a second-team All-American sprinter in the 200m at the NCAA Indoor Championships earlier this year. He will compete in the 200 for the first time at the NCAA outdoor nationals after just narrowly missing qualifying in the 100 on Friday. Toppin will join Rowe on the flight to Eugene after placing ninth in the women’s triple with her best leap giving her personal-best 42-feet, 7 ½-inch mark. Toppin’s previous best was 42-feet 1 ¼-inches at the Florida Relays in late March. 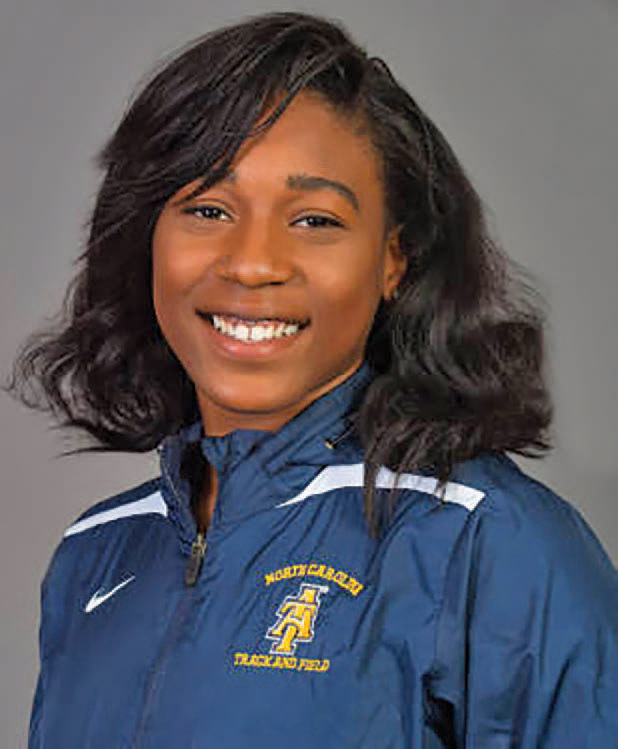 Once again, N.C. A&T will have strong representation in the relays in Eugene. Rowe is back at nationals in the 4×100. This year he will be joined by senior Joel Thomas, junior Michael Dickson and freshman Michael Bell. The quartet placed seventh on Saturday in 39.21. The 4×400 relay team is coming to the NCAA championships too. Senior Dajuan Harding, freshman Trevor Stewart and juniors Michael Dickson and Justin Hamilton were sixth at the East prelims on Saturday with a time of 3:06.87. The Aggies are the reigning three-time MEAC champions. Stewart is also going to nationals as a 400m runner. Things did not go as well for the women’s relay teams. The 4×100 team of senior India Brown, sophomore Tori Ray and juniors Kayla White and Jadzia Beasley was disqualified and the 4×400 team of freshmen Payton Russell and Nia Lundy and sophomores Sun-Sara Williams and Ray finished 20th in 3:39.04. The other Aggie competitors included junior men’s jumper Lasheon Strozier and sophomore hurdler Robert Miller. Strozier finished 24th in the triple jump at 49-feet, 11-inches while Miller ran the 110-meter hurdles in 14.20 to finish 18th.